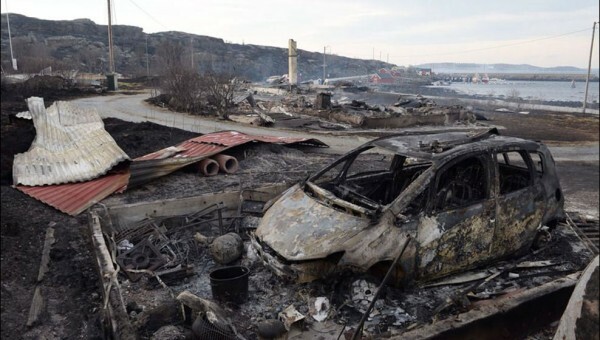 As many as 100 houses were destroyed Tuesday by a fire that engulfed two villages in Norway, police said. The fire broke out Monday in Hasvag and Smavaeret villages from what police suspect was two power lines smashing together in high winds, norwegian media reported. “It is very windy at the spot. The wind is blowing at [49 mph], which of course spreads the fire faster and makes it more difficult to put out,” officer Johnny Olsen said.Tor Helge Waago, the captain of a rescue boat, said it was difficult to get his boat close enough to fight the blaze.